this was posted on a page on FB. Mr. Osano, the editor of Naoko Takeuchi asked on his twitter account for your favourite sailor moon merch: "How about a vote for favorite merch. Then we can put in a request to the manufacturers. they left a link to this twitter. and a twitter that translated his tweets. i looked on the English one to make sure he did say it at one point. and he did. Location : Wandering in the Falwen foothills. Something for the testosterone brigade. I think a videogame alone would be great. Maybe like the DBZ fighting games on PS2. Every single characters could fight. From Artemis to Kaolinite to Umino. Or just a RPG. RPGs are great. What about Another Story for the Wii U's virtual console? Oh and I want a Spiral heart Moon Rod in my shelves before I die. I would love to play as one of the cats in a fighting game! 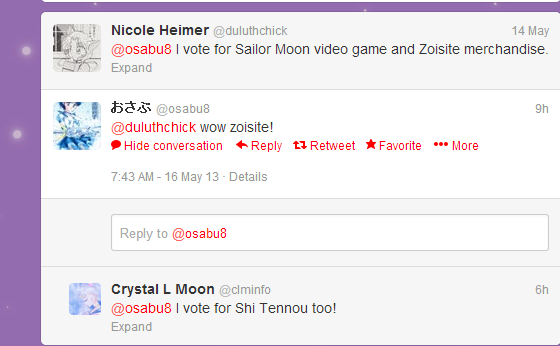 I really, really want a Sailor Moon video game. And I stand with my previous hopes. 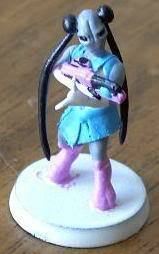 I WANT sailor moon to lead my 40k army. xD So i'm not the only one who called the wand of my druid in wow "Moon Stick", eh? OFF TOPIC; OMG, YOU PLAY WOW! Yep ^^ since a while! I'm a Mage, Bloodelf! I played on a free server though. It never made it past cataclysm. no idea! i just send the tweet XD.